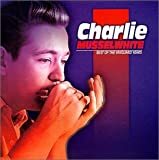 Charles Douglas "Charlie" Musselwhite (born January 31, 1944) is an American electric blues harmonica player and bandleader, one of the white bluesmen who came to prominence in the early 1960s, along with Mike Bloomfield and Paul Butterfield, or bands such as Canned Heat. 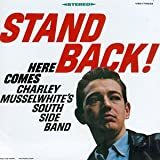 He has often been identified as a "white bluesman". Musselwhite was reportedly the inspiration for the character played by Dan Aykroyd in the Blues Brothers.